What Exactly Is The Advantage of Medicare Advantage Plans? So let’s get right to it, you have questions about Medicare Advantage and we have the answers, so let’s get started. Medicare Advantage plans are Medicare approved options run by private insurance companies. These plans may also be called Medicare Part C. They provide the same health benefits as traditional Medicare but may also provide some additional benefits such as vision and dental or include a Medicare prescription plan (Part D). A variety of MA plans are offered nationwide and by a variety of private insurers. There may be some specific provisions of these plans, such as restrictions on which physicians can be used, that members need to be aware of before they enroll. There may be a different cost structure such as additional premiums and out of pocket expenses. 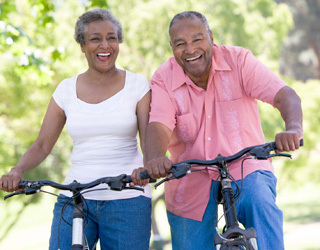 Those who are currently eligible for and/or enrolled in Medicare Part A and B are eligible to enroll in a Medicare Advantage plan as long as they live within the plan’s service area. Those with End Stage Renal Disease (ESRD) may not be eligible, though. For those patients, there are some different options available through Medicare. A member of a MA plan must provide required information to the company and follow the specified rules of the plan. You can only be in one MA plan at a time. If you are in a Medicare Advantage plan and you want to go back to traditional Medicare, you may do so from January 1 through February 14. Medicare coverage will be in effect the first day of the month after you submit your request. You can submit your request to switch back to traditional Medicare by contacting your current MA plan or by calling 1-800-MEDICARE. There are also some special circumstances when you may disenroll from a MA plan outside the above time period. These are called special trial rights and allow beneficiaries to leave a MA plan and go back to traditional Medicare within the first 12 months of enrollment. This is allowed if the MA plan is your first enrollment when you turned 65 or you were enrolled in traditional Medicare then joined a MA plan and dropped Medigap coverage. In general, plan services and benefits are limited to within the plan’s network. This includes physician and hospital services. The exceptions are emergency care,out-of-area urgent care and out-of-area dialysis care. If you receive care outside this network and without the plan’s approval, you will likely have to pay the full cost of that care. In most plans, prescription drug coverage is included, but it depends on the plan. If you want a drug plan included in your benefits, make sure to join a plan that offers this. Additionally, most HMO plans require members to choose a Primary Care Provider (PCP), who will be the primary provider and manager of your medical care. If a specialist is needed, you will likely need to get a referral from your PCP. Preventative care and services, such as a colorectal screening or routine mammogram do not usually require a referral. This plan is basically the same as the HMO plan, but includes some out-of-network services and benefits. These additional services usually will cost more. In a PPO plan, you may use in-network physicians and services or you may choose to go out-of-network. If you do choose to receive care outside the plan’s network, you will likely have higher out of pocket expenses. In most plans, prescription drug coverage is included, but it depends on the plan. If you want a drug plan included in your benefits, make sure to join a plan that offers this. In PPO plans, you do not have to choose a PCP nor get referrals to see a specialist. SNPs are specifically designed for beneficiaries who have chronic conditions and specific needs related to those conditions. The services offered include specific expertise related to the member’s conditions as well as focused and coordinated care management for those conditions. Similar to HMOs, Special Need Plan services and benefits are limited to within the plan’s network. This includes physician and hospital services. The exceptions are emergency care, out-of-area urgent care and out-of-area dialysis care. -Live in a long term or skilled facility such as a nursing home or require nursing care at home. -Eligible for both Medicare and Medicaid. -Have specific chronic or disabling conditions including Diabetes, End Stage Renal Disease (ERSD), HIV/AIDS, chronic heart failure, or dementia. In a PFFS plan, a member may see any provider, including physicians and hospitals, as long as those providers accept the payment terms of that plan. Not all providers accept all plans, so you must verify that prior to seeing the provider. Some plans may have a network of providers that must accept you as a patient. Out-of-network care is allowed, but you may have more out of pocket expenses. These plans may or may not have prescription drug coverage. If they do not, you can purchase Medicare drug coverage (Part D) on your own. You will not be required to choose a PCP or get a referral to see a specialist. The costs of these plans will vary and you need to make sure you understand those costs and any restrictions or rules related to the plan before you decide to enroll. This MA plan has a high deductible. However, this plan is connected to your bank account and will deposit money on a regular basis for you to cover your out of pocket healthcare expenses. Medicare Advantage plans that have networks can make changes to those networks, including contracted physicians and hospitals, at any time during the year. Medicare does have certain safeguards in place, though, to ensure member’s medical care is not interrupted. Additionally, Medicare requires that all networks have the providers and services available to cover all Part A and Part B Medicare services. If they do not due to a change in providers, they must add additional providers until those services can be provided. When a provider terminates their contract with the MA plan network, the plan members regularly seen by that provider must be provided a written notice. This notice must be provided 30 days in advance of the contract termination and provide the member alternative providers in the network as well as outline how the member can choose a different provider. Choosing the right medical coverage for you is an important decision. In order to determine if a Medicare Advantage plan is the right choice for you, you must review all the options available as well as the advantages and disadvantages of each plan. Furthermore, each company that offers a MA plan will have different requirements and rules associated with the benefits and coverage. It is very important for a potential member to review all the requirements and provisions of a plan before they enroll. This includes medical care coverage and networks, additional costs and specific benefits. With this information, you will be better able to decide which plan is right for you.